North Korea has accused South Korean authorities of abducting 13 of its citizens who recently defected to the South, in an article published by state media on Tuesday. North Korea commonly refers to South Korean authorities in state media as a “puppet” of the United States. 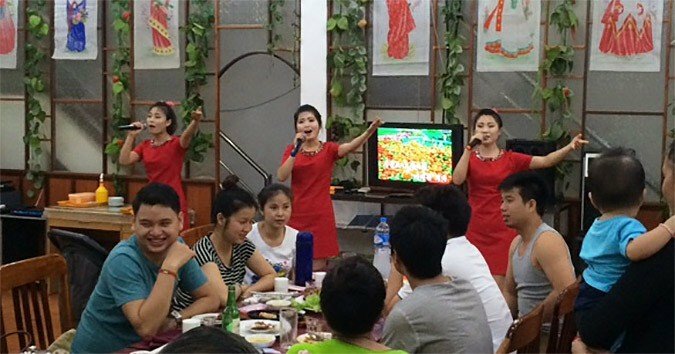 South Korea’s Ministry of Unification (MoU) announced on Friday that a group of 13 North Koreans, who had been working in a state-run restaurant outside the country, had defected to the South. During a press briefing on Monday, a Chinese government spokesperson confirmed that 13 North Korean citizens departed the country legally after they were found “exiting the Chinese border with valid passports”. North Korea however is claiming that the group, 12 females and 1 male, had been abducted by South Korea’s National Intelligence Service (NIS). The KCNA article also identified Ningbo as the location. “We have detailed information of how the gangsters of the puppet Intelligence Service lured and appeased the citizens of the DPRK to south Korea,” the KCNA article read. It added that the North was aware of “which country in Southeast Asia they were taken through as well as the method used for the purpose”. The spokesperson for the Red Cross also demanded that the individuals be returned, warning of retaliation if the demands were not carried out. “The south Korean authorities should bear in mind that unless they apologize for the hideous abduction and send those abductees back, they will face unimaginable serious consequences and severe punishment,” the article read. “This is not an unusual tactic, to try to de-legitimize defections,” said NK News intelligence director John Grisafi. Subscribe to read the remaining 425 words of this article.